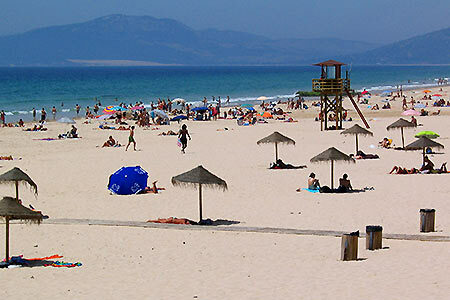 Next to the Island of Tarifa is a long beach that stretches 7 Km from downtown Tarifa to the Camp sites area called Los Lances. In summer the first part of this beach is taken by sunbathers, except during the very windy days, when lying on the beach is not comfortable. Los Lances beach has some beach shacks and restaurants with terraces.